The file End of Union v.0.3 is a modification for Victoria II: Heart of Darkness, a(n) strategy game. Download for free. 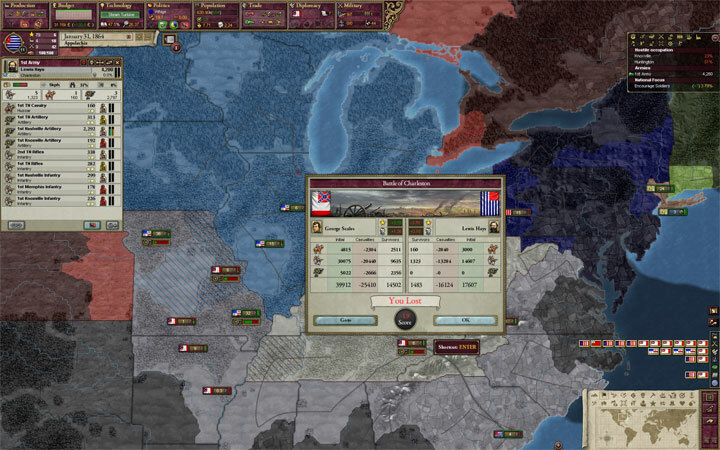 End of Union is a mod for Victoria II: Heart of Darkness, created by Goats11. What if northern secession movements caused the union to (mostly) dissolve? This mod is an attempt to explore that. Make Dixie rich by the Golden Circle, create the Kingdom of God on Earth as Deseret, reunite the Union as the Great Lakes Federals and more. Then activate the mod from game’s menu.